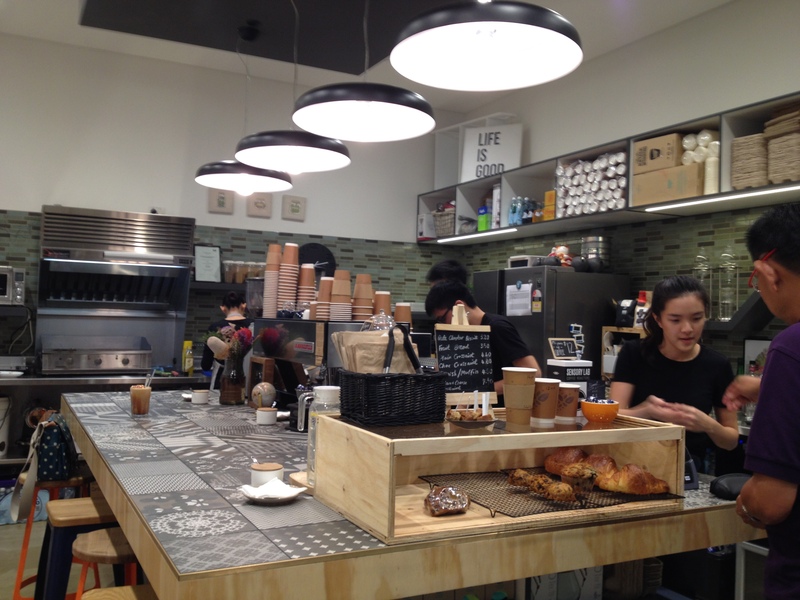 Situated opposite Noodle Forum at the Equus Arcade is The Pulp Cafe. If you feel like having coffee after your bowl of noodles, head over to The Pulp Cafe where you can have a nice cup of coffee and perhaps a muffin or banana bread if you still have room in your stomach. Yep, it’s a cafe that’s not hard to miss! The decor is bright and lovely which gives a welcoming and friendly ambience – a great place to catch up over coffee and have some of their pastries or cookies available. 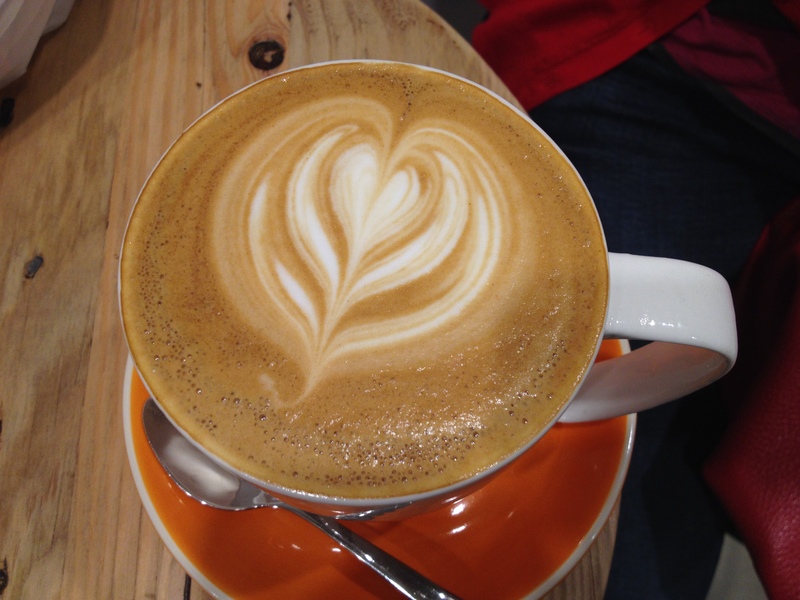 I decided to order a Latte and I must admit that the coffee at The Pulp Cafe is good. It was very fragrant and robust. It didn’t take too long for the latte to arrive and the price is also reasonable for quality coffee. While having our coffee, there were some samples of banana bread available at the counter. Just one bite and I was hooked. 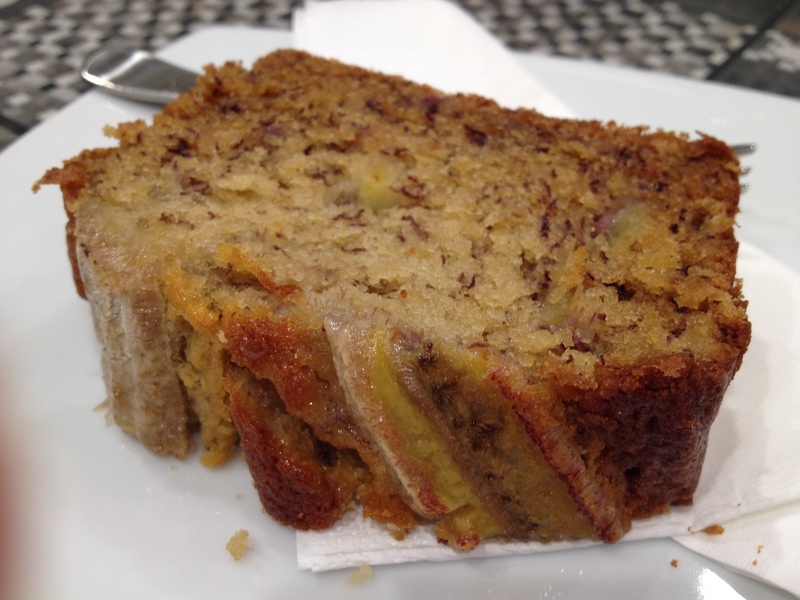 Yes, I have to order a slice of banana bread just because it was so good! With a few small chunks of banana in the bread, it was full of banana flavour. The banana bread was soft, moist and fluffy which complements the coffee well. That banana bread looks Delish!